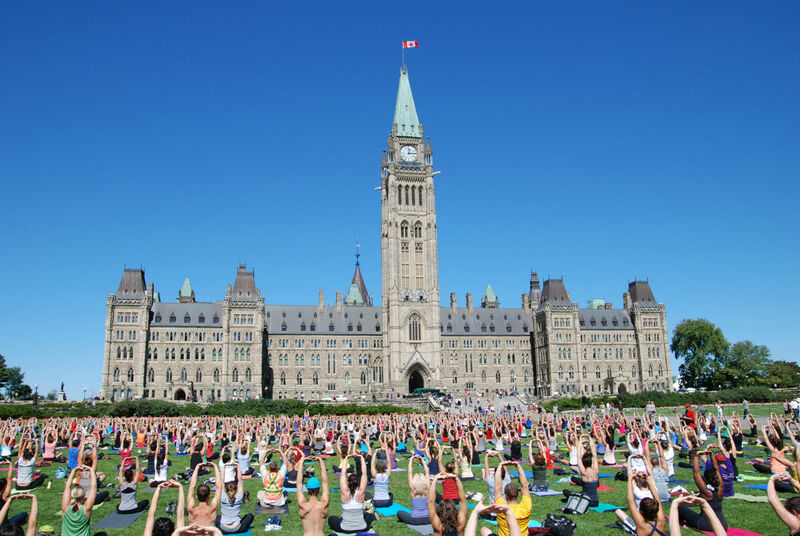 Roughly 35 million people call Canada home, and pretty much all of those people are habitually eating good food and singing/dancing/carousing the days and nights away in some of the world’s most vibrant cities. All summer long, life here takes place outdoors — at sidewalk cafés in Montreal, and rooftop patios in Ottawa, to festivals, fêtes, and Caribbean carnivals. From Toronto, one of the world’s most multicultural cities; to Vancouver, bordered by Pacific beaches and home to pizzas so innovative they’d make a Neapolitan cry with envy; to Winnipeg, with its fringe fests and leading art galleries — Canada has some of the best cities anywhere. Here’s your photo guide to the most exciting things to see and do in Canada’s coolest cities. Come check them out for yourself — you’re going to love it here. Founded in 1843, and growing rich on the back of the gold rush, Victoria is one of the oldest cities in the Pacific Northwest. You can feel that sense of history when you wander the Old Town full of 19th-century buildings and home to cool cafes, boutiques, and what might just be the best indie bookstore in the country — Munro’s Books. Its interior filled with neoclassical pillars, arches, and a ceiling modeled on the great library of Ephesus, the store was co-founded by Alice Munro and has been a Victoria institution since 1963. For more history, head to Canada’s oldest Chinatown and take a walk through buzzing Fan Tan Alley. Once home to opium dens and gambling parlors, it’s said to be the narrowest street in North America; these days it’s known for its tiny stores, including an art gallery and a Chinese cafe. 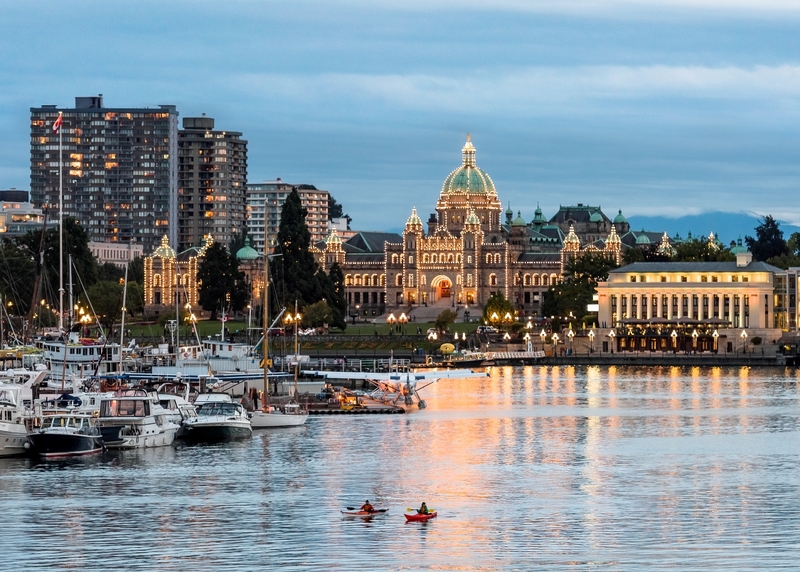 On the southern tip of Vancouver Island, Victoria — BC‘s capital — is a young university town of just under 80,000 where life takes place outdoors. The Galloping Goose Regional Trail runs east-west from downtown Victoria to the abandoned Leechtown about 40 miles away; the Lochside Trail intersects the Galloping Goose and runs north to south for 18 miles from Swartz Bay to Victoria. Both are rails-to-trails conversions. That means no hills, just cycling through old-growth cedar forests and picture-perfect stops at Vancouver Island’s beaches and lakes. Recommended: Go on a whale-watching tour to see the orcas and humpbacks, rent a kayak to explore Oak Bay, and hang out on one of Victoria’s beaches — like the Esquimalt Lagoon — to watch the sunset over Washington’s Olympic Mountains. Vancouver is typically introduced as a city where you can go skiing in the morning and then spend the afternoon on the beach. That’s true, but the same can be said about a lot of places. What makes Vancouver unique is that it’s also ridiculously good looking: Glinting glass skyscrapers wedged between evergreen-clad peaks and the roaring Pacific; a green space bordering downtown that’s bigger than Central Park and strung with beaches — that’s Vancouver. No wonder it’s consistently rated as one of the most liveable — and visit-able — places on the planet. Canada’s third largest city, with over 2.5 million in Metro Vancouver, summer brings out the best events in town, including the Celebration of Light explosive pyrotechnics competition; the Vancouver Pride Parade and Festival; and SeaWheeze half-marathon, yoga sessions, and sunset concert. Other huge events include Carnaval Del Sol (the largest Latin festival in the Pacific Northwest), the Pacific National Exhibition (think amusement park on steroids), and the Concord Pacific Vancouver Dragon Boat Festival (we hear they have a flying dragon this year!). Recommended: Head to hip Commercial Drive to sample innovative pizzas — like gala apple-pinenut, s’more, or kale-goat cheese. Fire Pizza on the Drive is open till 4am on weekends — grab a couple slices and a drink for $5 for a late-night snack (or a really early breakfast?). Try stand-up paddleboard yoga under the English Bay moonlight, dirtbike in North Vancouver, kayak with a First Nations guide along Indian Arm, or take a hike at Grouse, Cypress, or Seymour mountains. Here’s what to do in Calgary: Lie in the sun and watch the jugglers and performers in Prince’s Island Park; head over to 17th Ave for pubs and clubs, and then out for late-night poutine. Most summer weekends in this city of 1 million also feature neighborhood music and food festivals like Sun and Salsa Fest in Kensington (with both kinds of salsa), 4th Street Lilac Festival (flowers, everywhere), Inglewood Sunfest, and Sled Island — a SXSW-style event where the bands play in rocking venues and at outdoor stages across the city for 5 days straight. 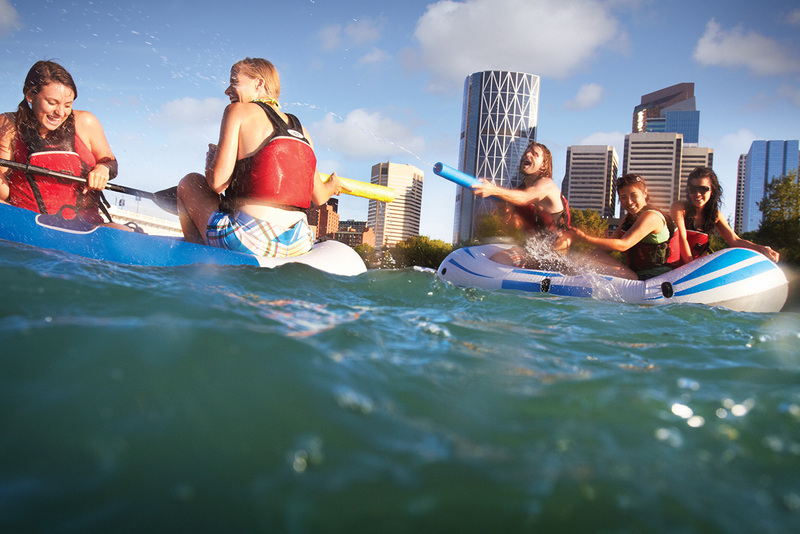 Recommended: Beg or borrow an inflatable raft and float down the Elbow River from the Glenmore Reservoir straight into the heart of downtown. Or just rent one. Though founded by the ever-so-fun-sounding Temperance Colonization Society, Saskatoon is actually a surprisingly fun spot to visit. Its distillery scene is second to none, with excellent local gin, vodka, whiskey, and bitters coming from the likes of LB Distillers and BlackFox Spirits. The Shakespeare on the Saskatchewan Festival takes place in July and August — it’s been going for 30 years, and it doesn’t just feature plays from the Bard. There are also lots of medieval feasts, workshops, and community stages. 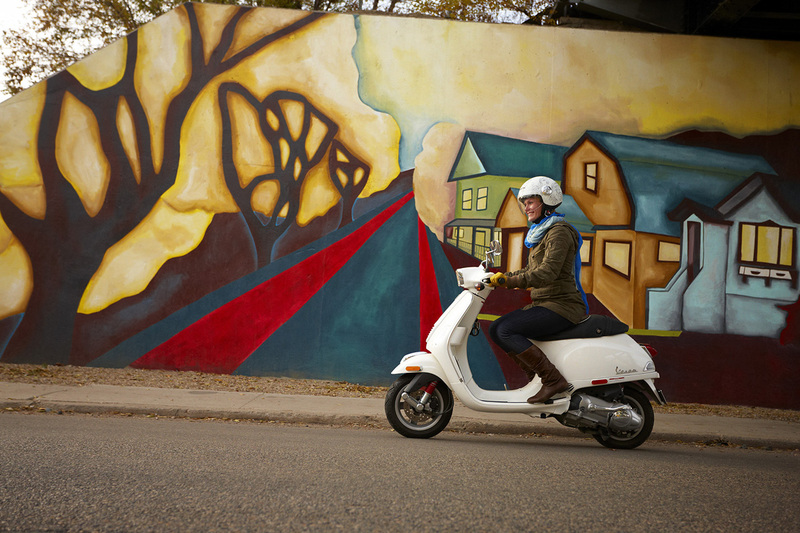 With a population of about 220,000 — one of whom is a certain Yann Martel, author of Life of Pi — Saskatoon really comes into its own in the summer, when the banks of the South Saskatchewan River are the place to be for cyclists, joggers, picnickers, and people watchers. Recommended: Devour a slice — or ten — of saskatoon berry pie, or raspberry and saskatoon berry linzer torte if you want to be fancy at Little Bird Patisserie and Cafe. Home to 663,000 people, Winnipeg contains more than half the population of Manitoba. And no exaggeration, it hosts one of the best folk fests in North America. Attended by up to 80,000 and staged in Birds Hill Provincial Park just outside town, each year’s lineup seems to beat the last. This year it’s Ryan Adams (presumably covering a little T-Swift). This is an artsy city; try to get here for the Winnipeg Fringe Theatre Festival (July 13-24, 2016), and be sure to discover Winnipeg Art Gallery (WAG) to view the largest public collection of contemporary Inuit art in the world. 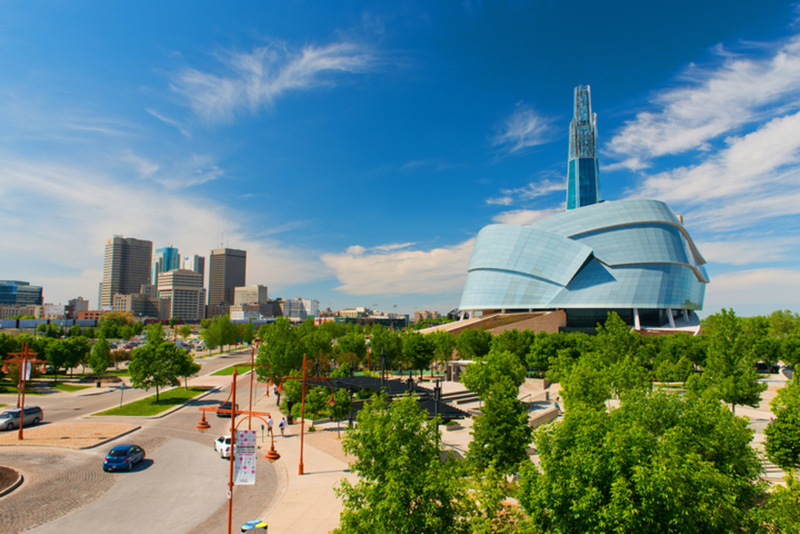 As of 2014, Winnipeg is also home to the first museum dedicated exclusively to human rights and the first new national museum to be built outside of the country’s capital region. 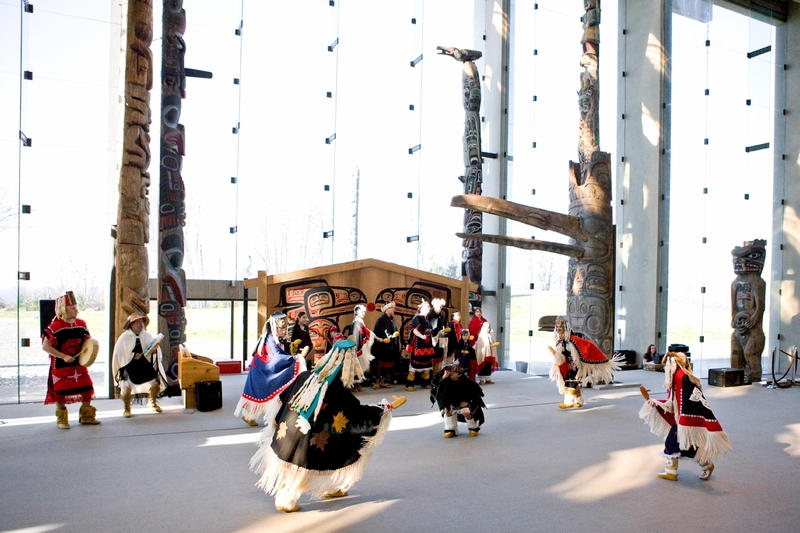 The Canadian Museum for Human Rights explores the intercultural relationships that have shaped our country and the world. It’s the sort of museum you never forget. And not just because it looks like the world’s most awesome spaceship. Recommended: Lunch from one of the many, many stalls at The Forks Market, like Baba’s Tall Grass Pantry — they serve fresh perogies and borscht made from local, organic ingredients. It’s a secret rule that every Canadian spends about a year (at least) of their life living in Toronto. It has tall buildings, a lake so big you can’t see the other side, and enough museums and events to entertain someone until the end of time. 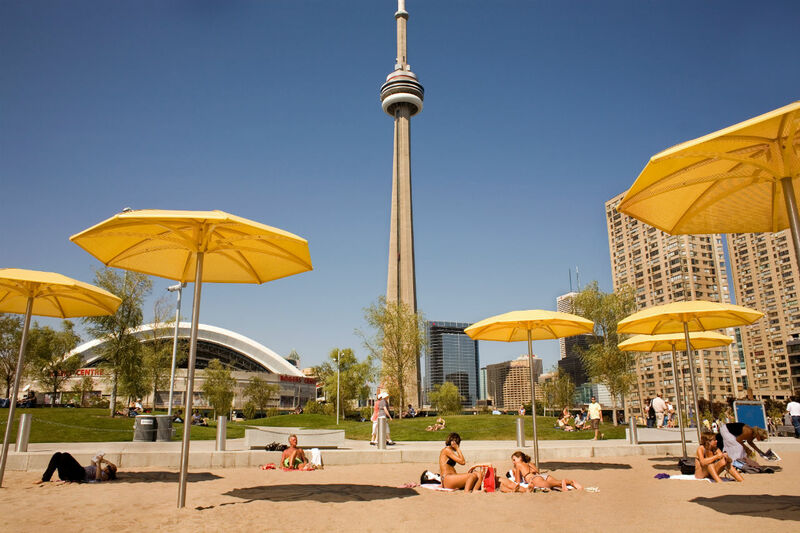 Referred to as Canada’s Downtown, the city’s known for its big-ticket events like Toronto International Film Festival and the Scotiabank Caribbean Carnival. Easily the biggest city in Canada, with a population over 6 million in the Greater Toronto Area, Toronto is one of the most multicultural cities on Earth — some say even more so than NYC — with not only a Chinatown so big you can barely walk from one end to another, but also a Greektown, Koreatown, Little Italy, Portugal Village, Little India, and a Little Poland. Along with its multiculturalism, Toronto is known for its diversity and inclusivity. Toronto’s Pride Parade (July 3, 2016) will be 36 years old this year, is part of an entire Pride month, and draws between 500,000 and 1 million attendees a year. So many rainbows! Recommended: Spend hours contemplating all the art — European sculptures to color zerography — at the AGO (Art Gallery of Ontario). Take a selfie with the giant TORONTO letters in Nathan Phillips Square. Pick up a onesie at the Drake General Store (yes, you need this). Take the Segway Ghost Tour to learn all about the spooky historic site of Gooderham & Worts distillery. 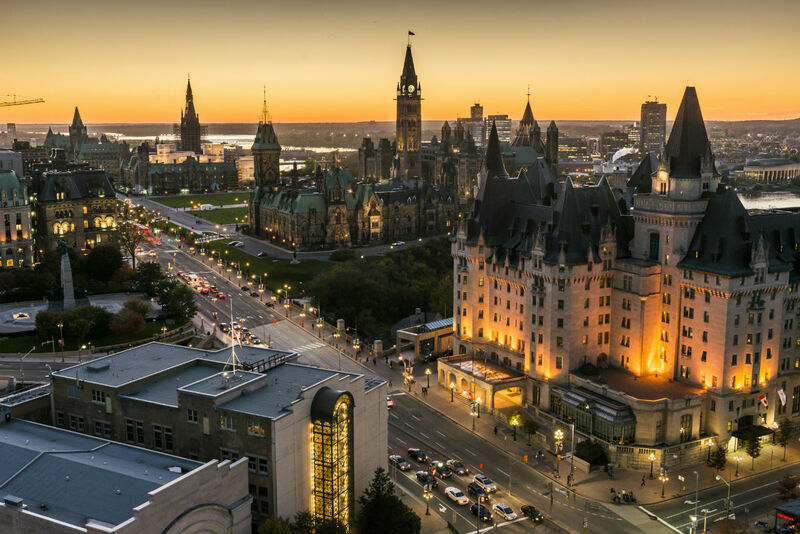 Canada’s capital, Ottawa has everything — great shopping, incredible restaurants, a million opportunities for boating and biking adventures, and the world’s coolest former bungee-jumping coach — and prime minister — calling the city home. While you’re in the capital, visit the Canadian Aviation and Space Museum; operating out of the museum, Ottawa Biplane Adventures offers tours of the city in a vintage, WWII WACO UPF-7 open cockpit biplane. That’s one unique way to see the Parliament Buildings. Montreal has it all: old stone architecture, the grand Notre-Dame Basilica, forts and castles…and — yes — epic poutine. A salty, savory hug of a meal, poutine is so much more than the sum of its parts: fries, cheese curds, and gravy. Head to La Banquise for some of the best. There’s also a perpetual lineup around the block (worth waiting in) for Montreal-smoked meat from Schwartz’s Hebrew Delicatessen and Montréal bagels from Fairmount Bagel, first opened in 1919. The biggest city in Québec, with a population of 1.65 million, Montréal also hosts the world’s largest jazz and comedy festivals. 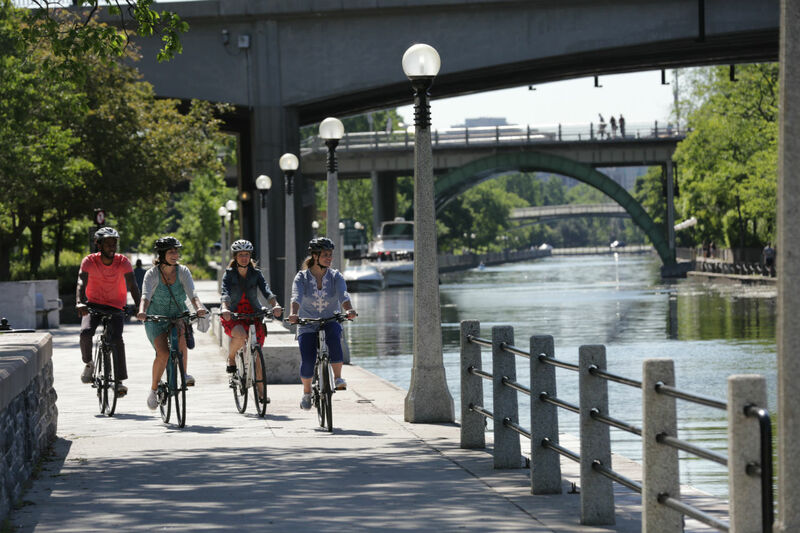 Plus it’s home home to the first BIXI bicycle rental system, and is the birthplace of some of Canada’s most influential bands, including Arcade Fire, Chromeo, and Godspeed You! Black Emperor. But perhaps the best part is that in Québec, unlike most of the rest of Canada, you can buy beer at the corner store!Santé! Recommended: Enjoy poutine by the river along with a cold bottle of local brew La Fin du Monde. Ride the 1,200-foot-long MTL Zipline over the Old Port for amazing views (and an amazing adrenaline rush!). A few hours down the St. Lawrence River from Montréal, Québec City has an even more European feel. In addition to the stone architecture, the cathedrals, and the Château Frontenac hotel that towers over the Old Town, the historic center’s cobbled streets are lined with boutiques and bistros that wouldn’t seem out of place in Paris or Lyon. Take a walking tour of Old Québec — a UNESCO World Heritage site — to get to know the history of the only walled city north of Mexico and try traditional Québec cuisine like tortiere meat pie. If you need to escape from the stone city, Québec also has some fantastic green spaces. The Plains of Abraham, site of the pivotal 18th-century battle between the French and the British, is now an excellent urban park for strolling through and people watching from, and Montmorency Falls (located within the city!) are even taller than Niagara. Definitely the best place west of Glasgow to see kilted men, the capital of Nova Scotia (aka New Scotland) has a proper maritime feel to it. It might be the old boats in the harbor, the periodic tall ships festivals, or the crazy good music scene — check out the Halifax International Busker Festival, which erupts across downtown for six days every summer (this year, July 27-31), Halifax is such a fun city. The city with the most pubs per capita in Canada, it was here that a century-old bottle of Alexander Keith’s brew was found at the bottom of the harbor, and it was still drinkable! If you want a fresher pint you can visit the still-operational brewery for a tour. Also worth checking out is Halifax Seaport Beerfest. 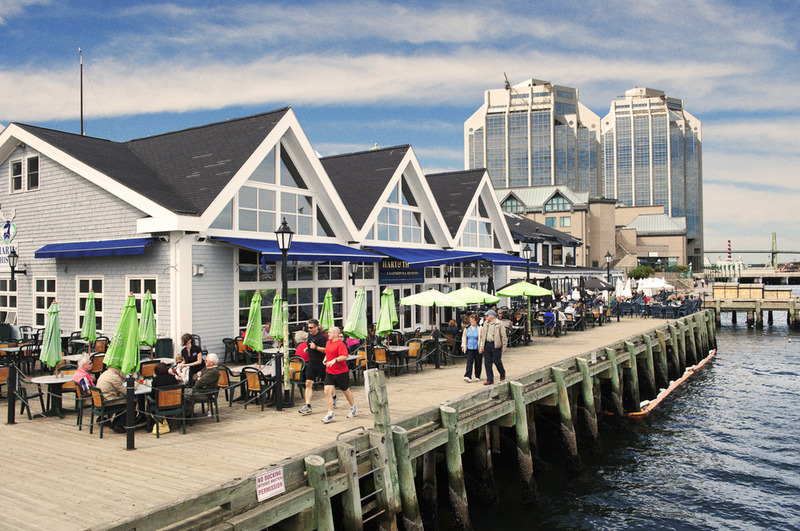 It’s Atlantic Canada’s largest gathering of craft breweries, cidereries, and importers, and it takes place right on the waterfront in August. Recommended: Rent a canoe and take a trip up the Northwest Arm, hike the nearby coastal trails, visit Seaport — it’s the longest continually running farmers market in North America. Flight Attendants Revealed The Hidden Room On Airplanes That No One Knows About.